Almost two decades ago Clay Walker was at what appeared to be the peak of his career. He had recently recorded his fourth album and overall, things were going well, at least that’s how it appeared on the outside. The reality was, he was having trouble holding a guitar pick and the right side of his body was often numb. Doctors eventually diagnosed him with multiple sclerosis and their prognosis was quite bleak. They told him he would most likely be in wheel chair in four years and it was quite possible in eight years he would no longer be alive. Some people may take such a diagnosis as the only truth and lose themselves in it, while still others will challenge it and, in the process, turn themselves into an inspiration. Obviously, Walker falls into the second group. He didn’t let his diagnosis get him down; he quickly decided that he would run his disease rather than let his disease run him. 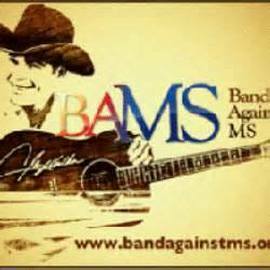 In 2003 he formed Band Against MS, a not-for-profit organization designed to comfort those with MS. Band Against MS was mainly formed to help others learn how to manage their disease, to raise money to find a cure for multiple sclerosis, and to let others know they are not alone in their fight. As part of his mission to improve his own lifestyle and help others, Walker hosts and performs at the benefit concert each year in Nashville. Proceeds from the 2014 concert, held at 3rd and Lindsley, will benefit the Vanderbilt Medical Center Multiple Sclerosis Research. The 5th Annual Chords of Hope Benefit Concert featured entertainment by newcomer Dustin Lynch as well as Montgomery Gentry and of course, Clay Walker. Lynch got the show started with some fan favorites and some new music, which received a positive response. After his short set, Montgomery Gentry filled the stage with great energy, spouting out hit after hit, then it was Walker’s turn to take the stage. He took a few minutes to share his story with the sold out crowd before he began playing some of their favorite Clay Walker songs. He has so many hits he had to fit them into a medley so hopefully no one would miss out on what they wanted to hear. I'm happy to say my personal favorite, “Fall,” from the album of the same name, was a part of the medley. Just when you thought it couldn't get any better, Walker spotted Johnny Rodriquez in the audience and invited him up on stage. They performed “That's The Way Love Goes”, which was a number one hit for both Rodriguez and the legendary Merle Haggard. What a wonderful evening this was, full of great energy and inspiration. As Walker thanked everyone for attending this event and for supporting a great cause I found myself thinking, "What could be better than a night of great country music?" How about a night of great country music organized to benefit others! Walker’s foundation Band Against MS is a non-profit organization dedicated to providing educational information for those living with multiple sclerosis (MS) and funding programs that are researching a cure for the disease. To learn more, visit bandagainstms.org.